Some of you may have noticed that Bermuda Shorts has been semi-retired for awhile now. It's true: The rigors of life, work and admittedly, stay-at-home-dad-dom have sacrificed yet another blog. Well, I'm happy to report that your daily dish from paradise is back—that is, until I lose power due to the impending impacts of Tropical Storm Leslie, which is currently churning its way up the Atlantic and forecast to become a hurricane any day now. On its current track the storm is expected to approach Bermuda this weekend, with winds as much as 110mph forecast to whip the western portion of the island (a.k.a. The End Where I Live). However, my catastrophe modeler insurance pals are all calling for a direct hit from a Category 2 hurricane sometime on Sunday. And trust me, these people know what they're talking about. Their business is risk. 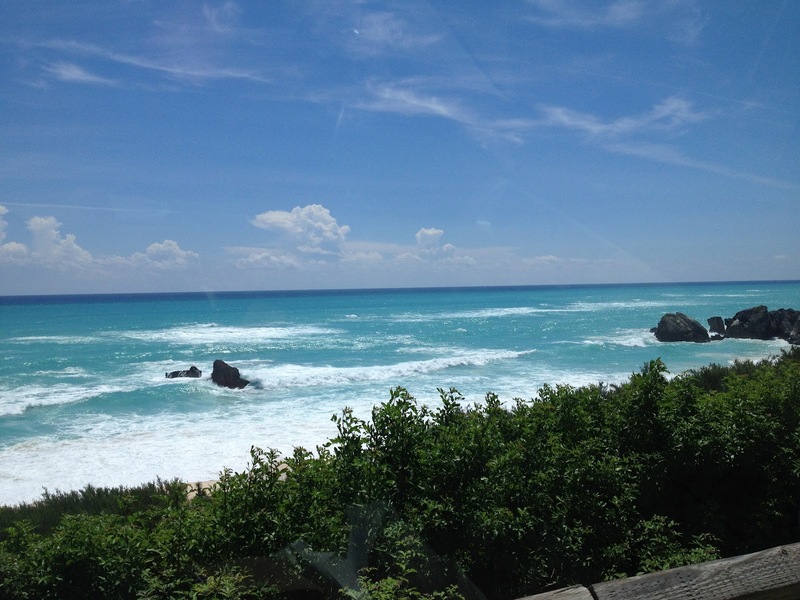 If the surf that's been rolling over the island's south shore is any indication, Bermuda should start bracing for something major (the above picture taken yesterday from Warwick Long Bay doesn't even do it justice; the surf is indeed up). For up to date information about Tropical Storm Leslie, visit the Bermuda Weather Service. And of course, I'll do my best to keep you posted with images, videos and news from the island. Folks, it looks like it might be time for a Dark n' Stormy. is a Bermuda-based travel writer and television correspondent. To read his work visit DavidLaHuta.com or to follow him on Twitter visit Twitter.com/DavidLaHuta. Visiting Bermuda? Read his story, 36 Hours in Bermuda, which appeared in the New York Times travel section in September 2009 (http://bit.ly/36HoursBermuda) and Jetsetter's The Many Faces of Bermuda, which ran in January 2011 (http://bit.ly/FacesOfBDA).